Pilgrim’s Bounty, a Thanksgiving analog, is live in World of Warcraft, and it got me thinking about holidays in Blizzard’s game. World of Warcraft celebrates more than any other, but Overwatch and Heroes of the Storm join in with Halloween (Hallow’s End), Christmas (Winter Veil), and Chinese New Year (Lunar Festival). Overwatch has also included the Olympics (Summer Games) as one of its major in-game events, and while Overwatch doesn’t do much with Valentine’s Day (Love is in the Air), Heroes of the Storm does. With rare exception like the Summer Games, all of these titles celebrate the exact same holidays — and I’m curious which other holidays or global events Blizzard could incorporate. Since the major features of these holidays tend to be skins for heroes or thematic gear to equip, the holidays Blizzard incorporates should probably have a recognizable aesthetic. What leaps to mind for me is Mardi Gras, as well as both Brazil and Venice’s famous Carnivals. Given those events all bump up against other events in Blizzard’s games, I wonder if they could get away with a general festival/carnival-themed event, incorporating the aesthetics of all sorts of global celebrations of that variety. Heck, as a Milwaukee native, I have fond childhood memories of the Great Circus Parade. One grand multi-universe circus/carnival/festival wherein characters can get themed skins appropriate to their culture or background? Sounds like a blast to me. Not to mention, Heroes of the Storm has a jump-start on this one. 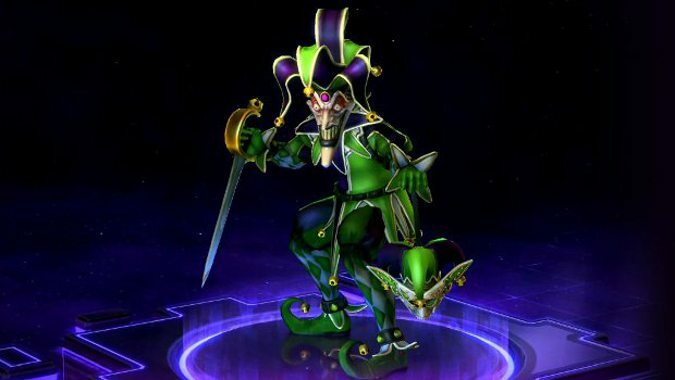 Ringmaster Greymane, Big Top Gazlowe, and Harlequin Nazeebo already fit the theme of a Nexus alternate-reality circus. Keep that theme running and make it a full-blown thing. What other holidays or themed events would you like to see in Blizzard games? Or can you think of any holidays individual games should celebrate, relevant to their world only? An in-universe Overwatch holiday? Maybe a holiday only Azeroth could or would have?